As a photographer, there’s so much to keep in mind when the weather changes – what to wear to keep warm, how to manage the changing light, what your camera needs, and more. 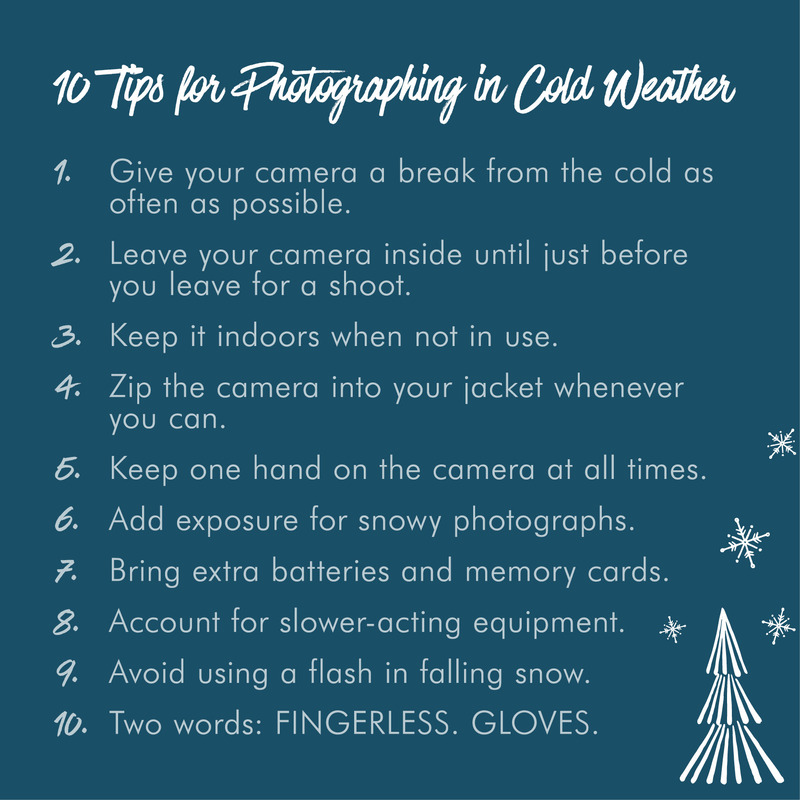 To make sure everyone capturing the splendor of the season is prepared for the changes the cold brings, we compiled some smart (and totally vital) advice from a few of our photographer friends who specialize in shooting outdoors. Thank you for these tips for cold weather. for super cold shooting, use hand warmers taped to body with electrical tape. it will look a bit funny but your batteries will last longer. i've shot in -20 in yellowstone and this is a great way to keep your camera from freezing.